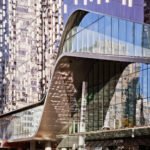 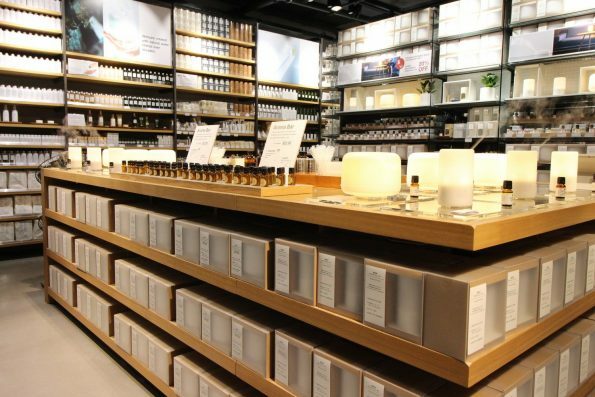 The first flagship MUJI 無印良品 store in Canada, and the largest outside of Asia, opens Saturday on Robson Street in Vancouver. 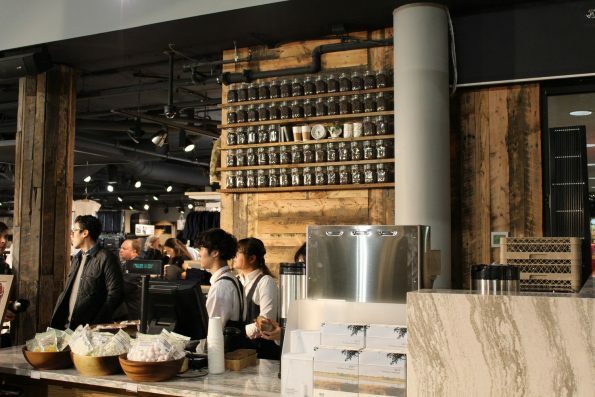 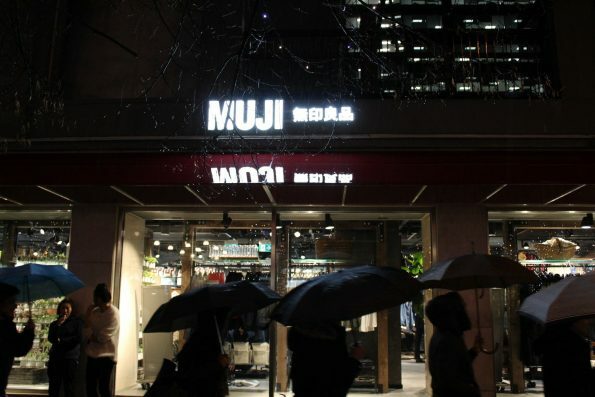 The 15,000 sq ft. MUJI store is located in the former Gap space on Robson, between Thurlow and Bute. 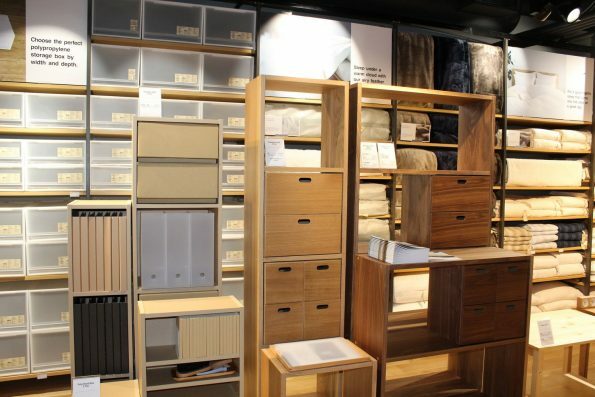 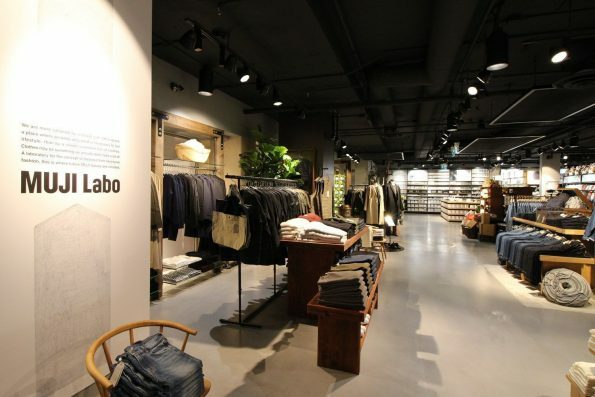 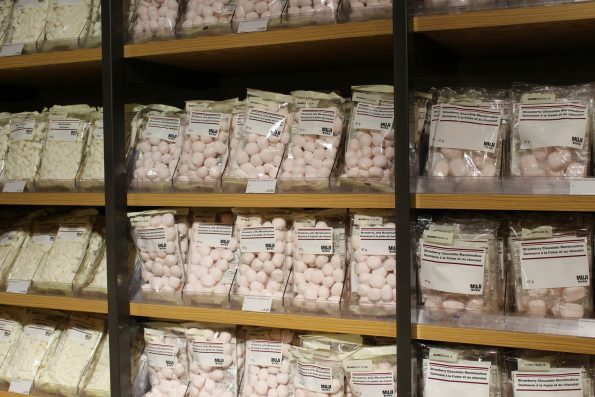 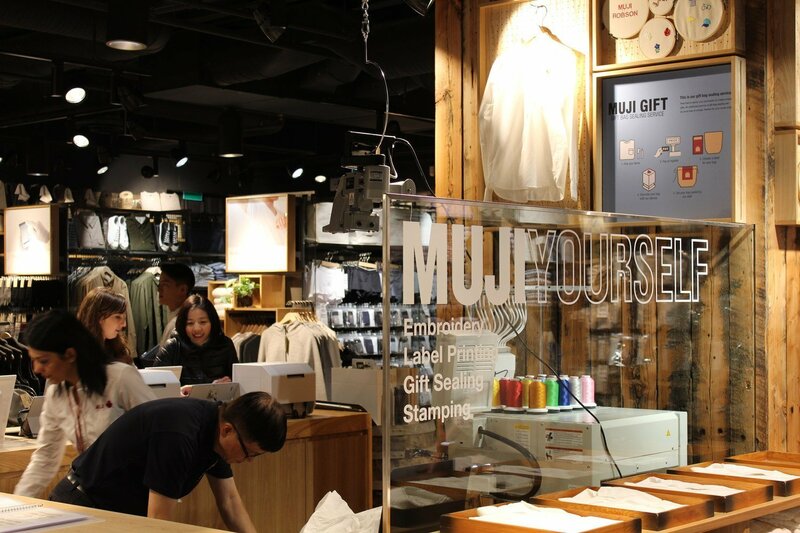 It carries more than 4,500 products, and offers several services not yet seen in Canadian MUJI stores including MUJI Labo, coffee bar, aroma counter, and MUJI YOURSELF — a customization service offering embroidery, stamps, gift wrapping and label printing. 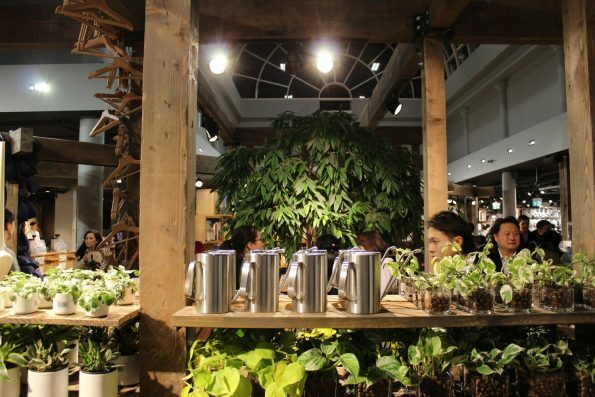 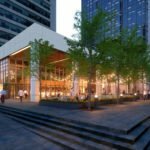 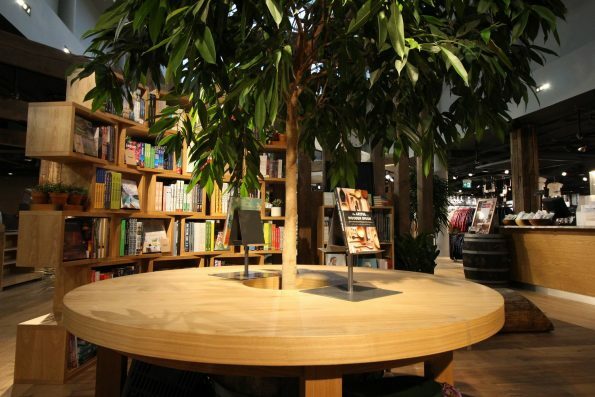 The space has been transformed, with its high ceilings and atrium exposed, plus the additions of wood and lots of greenery, much of it for sale in the form of potted plants. 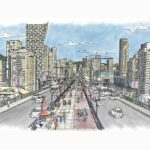 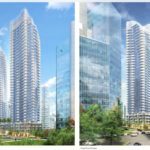 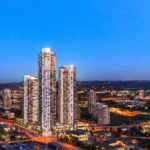 The store opens Saturday, December 2, 2017 at 10 a.m., at 1125 Robson St, Vancouver, V6E 1B5. 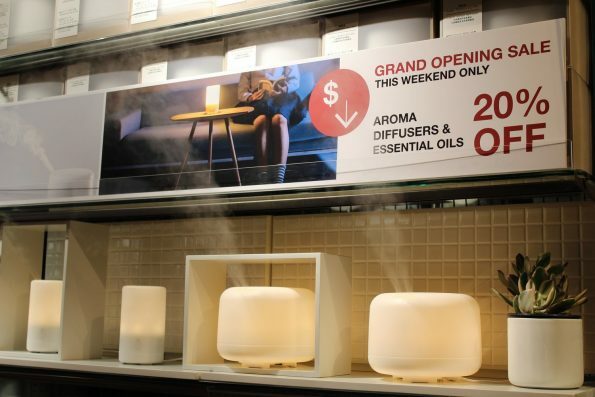 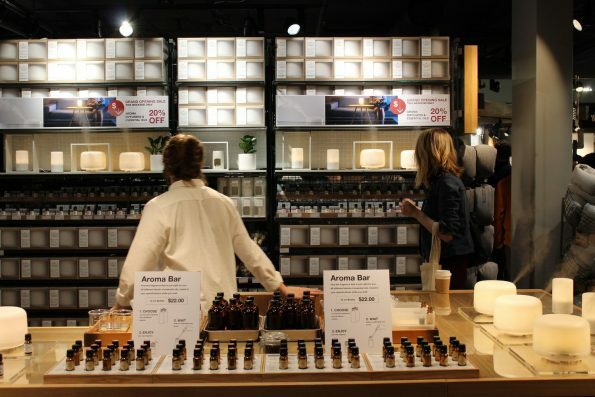 Aroma bar where you can make your own diffuser solution. 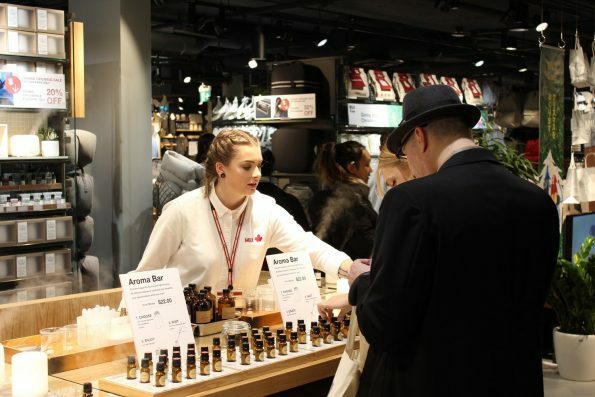 A customer at the Aroma Bar. 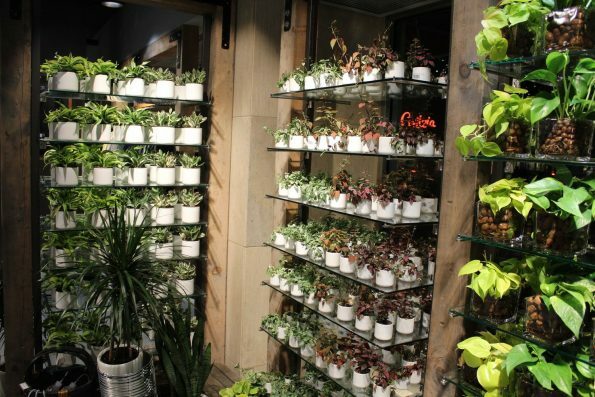 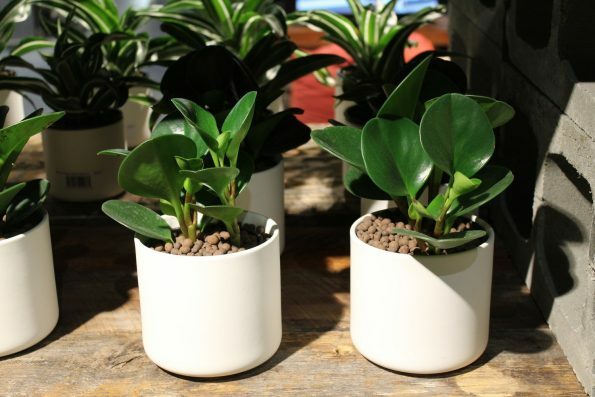 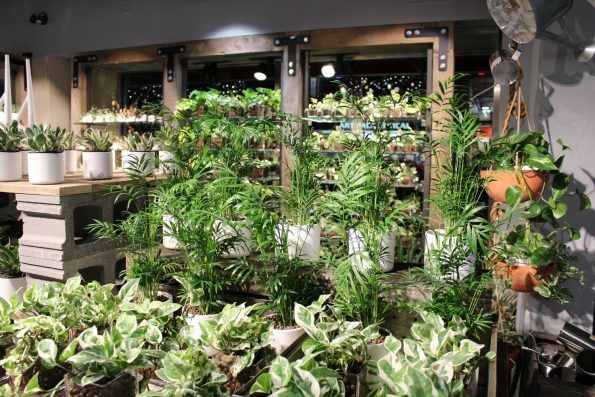 Wide selection of potted plants. 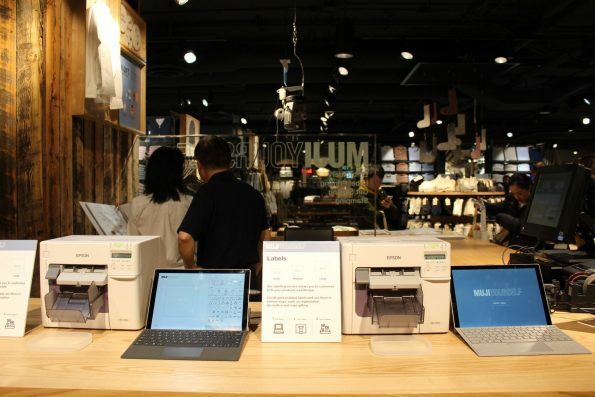 Label printing at MUJI YOURSELF counter. 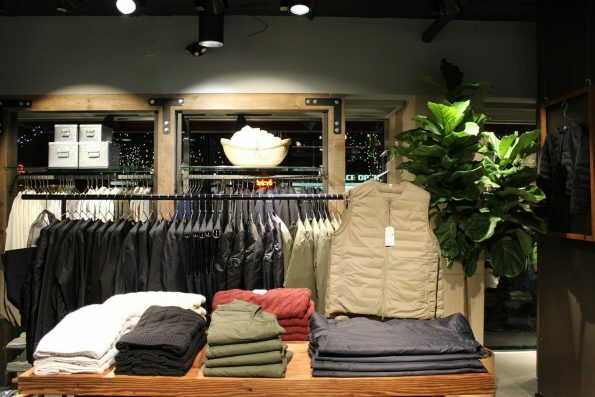 Exterior of the Robson Street store on a rainy Vancouver evening.